Here is a cute kids sleepwear and robe set, perfect for Christmas! 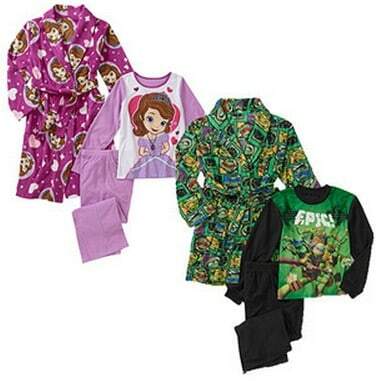 The Kids' License Character 3 Piece Robe Set is on sale for $14.97 at Walmart.com right now. That's 25% off the regular price of $19.97! Lots of characters to choose from! Shipping is FREE with $35+ order.